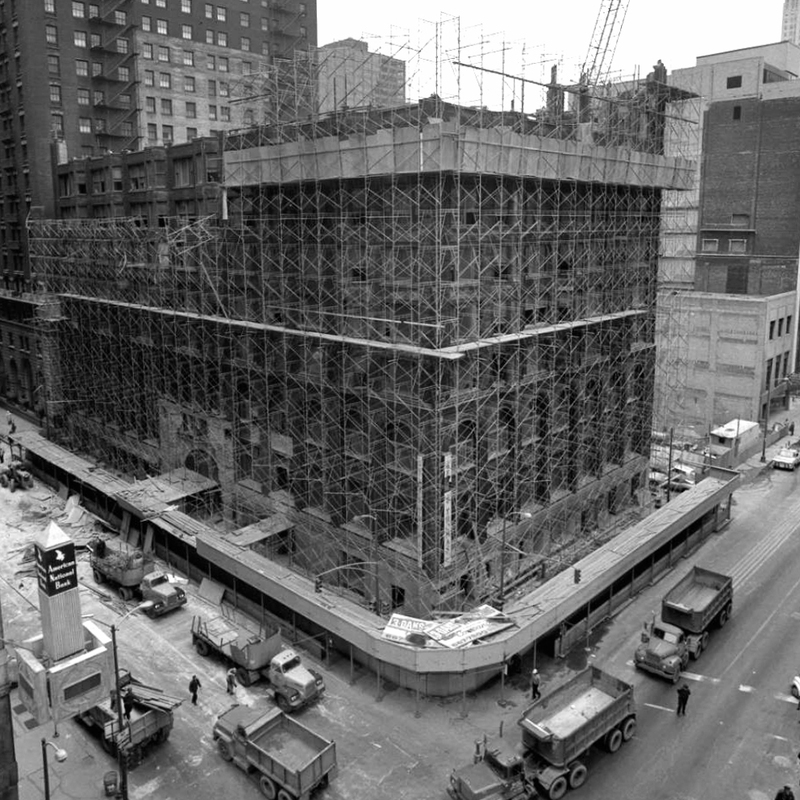 March 7, 1972 -- Eleven persons are hurt when a 150-foot metal scaffold falls from the top of the Old Stock Exchange Building at 30 North La Salle Street, carrying bricks and pieces of wood with it. Two cars are buried as debris are scattered over a 200-foot stretch of La Salle Street between Madison and Washington. Fire Commissioner Robert Quinn blames the falling debris on strong wind gusts that caught part of the tarpaulin at the top of the building and blew the scaffolding and bricks off the east wall, which had been demolished to the ninth floor. "It was a miracle that the whole wall didn't go down," Quinn said. "That tarpaulin acted just like a sail in the wind." The building's demolition, which came after a protracted battle to make it a city landmark, removed what was arguably the greatest achievement of architect Louis Sullivan. Its death cry on this day in March of 1972 was heard, and a new attitude toward preservation was born and is alive and well today. The photo above shows the building not long after the accident occurred.